Dairy is an important and essential food but due to the high price compared to Vietnamese average income leading to the limitations in dairy’s expenses. Dairy’s spending accounts for 10% of the total food’s expenditure in Vietnam. Average GDP per capita growing constantly is the important factor boosting the dairy consumption. The Young population structure enables a potential market to promote the dairy industry. The input of processing dairy consists of fresh milk and powder, in which the powder trade among countries dominates. The cow’s milk material production in 2018 was estimated to achieve 725.8 million tons, increase 1.7% compared to 2017. The milk consumption is forcusing on skimmed powder which is a material using in manufacturing mink products, baby powders because it has already separated milk fat which is difficult to disgest with young children. By the end of 2018, domestic fresh milk material production was estimated to rise 6.2% compared to the same period of 2017; consumption revenue in Vietnam increased 10.9% in comparison with 2017. Powder consumption revenue grew continuously between 2010 and 2018 with the growth rate reaching CAGR at 19.4%. 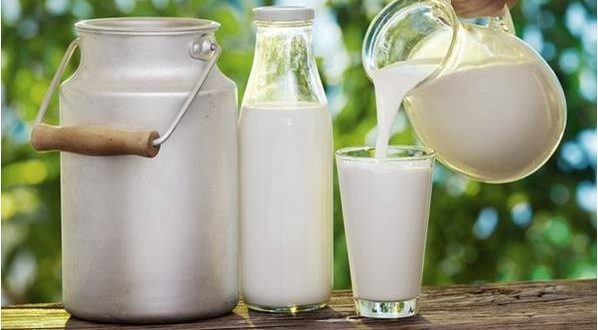 From 2010 to 2018, Vietnam imported about 7.2 billion USD of milk and dairy products, spent 890 million USD each year to meet the domestic consumption demand. Vietnam processing dairy industry was planned for development until 2020, with a vision to 2025 with many mechanisms and policies in order to help bussinesses in the industry and enhance competition when international integration.